Chinmaya Mission of Orlando serves Orlando and its neighboring communities by teaching values to the children and imparting the knowledge of the Hindu Scriptures to the people. On July 19, 1993, CM Orlando purchased a 5-acre plot in Casselberry, Florida. The property included a small, two-bedroom house that was used for ashram activities and classes. The photos of Param Pujya Gurudev Swami Tapovanam and Pujya Gurudev Swami Chinmayananda were installed in the ashram’s main hall on the day Gurudev visited the ashram for the first time. Pujya Gurudev blessed the ashram and named it “Tapovan.” He guided CM Orlando’s devotees on the future installation of the murti of Lord Shiva as Lord Jagadishvara, Who presides over the temple of CM Mumbai’s ashram in India. Chinmaya Mission Orlando offers Bala Vihar, Junior CHYK, CHYK, Bhagwad Geeta and Upanishad classes every Sunday morning. Additional classes include tabla and classical dance. In addition to classes at the ashram, study groups and classes are conducted in other local chapters which include Lake Mary, Sanford, South Orlando, Kissimmee, Daytona Beach, Ft. Myers and Gainesville. Dr. Shailaja Nadkarni and her husband, Dr. Shyam Nadkarni, had their first darshan of Pujya Gurudev Shri Swami Chinmayananda in Pittsburgh in August 1984 at the Geeta Gyana Yagna; they were inspired by the divine presence of Pujya Gurudev and during their first Bhiksha with Swamiji they asked how they can learn more about Bhagvad Geeta. Also their two young boys, Siddharth and Samir were with them and they wanted to know how the boys can be introduced to Hindu Culture and Religion. Pujya Gurudev personally guided and instructed them how to teach young children and conduct Balavihar and instructed Shailaja ji to start study groups. In 1987 Chinmaya Mission of Orlando was started along with the Balavihar and study groups. Swami Chinmayananda appointed Dr. Shyam Nadkarni, the President of Chinmaya Mission Orlando in 1989. 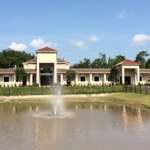 Chinmaya Mission property was acquired in Orlando, Florida and Chinmaya Mission “Tapovan” was inaugurated by Pujya Gurudev Swami Chinmayananda in 1990. Since Gurudev’s visit the Balavihar and Geeta study groups flourished and were conducted at a regular basis at “Tapovan”. Shailaja ji had an opportunity to travel with Pujya Gurudev on his tour around Universities in U.S. and his visit to United Nations in 1991. In 1992 Shailaja ji accompanied Pujya Gurudev to Hong Kong and India. During his stay at Orlando he appointed Shailaja ji as one of the Board of Directors of Chinmaya Mission West. After Dr. Shyam departed from his worldly existence, Pujya Guruji Swami Tejomayananda appointed Shailaja ji, the President of Chinmaya Mission Orlando. At present Shailaja ji is conducting Balavihar, Geeta study and Vedanta classes at Chinmaya Mission Orlando at Kaivalya. She also conducts classes during weekdays on following subjects: Vivekchoodamani, Daasbodh, Gnyaneshwari, Bhagvad Geeta and Vedanta. She recently spearheaded the expansion of the ashram that resulted in the expansion of the main Kaivalya hall and addition of many new classrooms. In addition to her responsibilities at Chinmaya Mission Orlando, she also oversees two Chinmaya Mission satellite centers in Daytona Beach and Kissimmee.